AN AMERICAN woman is suing a Florida restaurant for almost $2 million after claiming she was injured by a drag queen's breast while she was eating dinner in 2015. Neldin Molina said she was at Hamburger Mary's in Tampa on May 30, 2015, celebrating a friend's birthday when the incident occurred, FOX 4 NOW reported. She said the dinner was the first time she had been to the restaurant. Ms Molina alleged in the claim for damages that she was eating dinner around 8.45pm when music began to play and the crowd started to clap. A person on the microphone announced a drag queen show was about to begin. 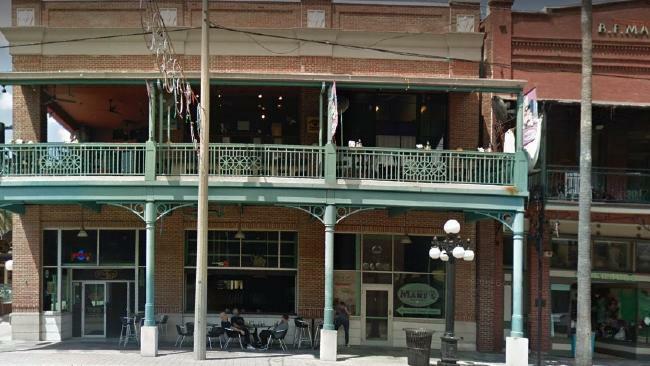 The Orlando Sentinel reported the restaurant is known for its drag performances. After some time, Ms Molina said a performer, Amanda D'Hod, came over to her table but she ignored her. Later, the dancer came back, "grabbed" her head and "wiggled her breast against the Plaintiff's face and head eight times". D'Hod also reportedly "grabbed Molina's face and pushed it to the left and right before violently pounding it against D'Hod's chest up to nine times," the claim alleged. After the incident, Ms Molina complained to the restaurant's manager that she was experiencing "excruciating pain" and had a headache. She filed a complaint with the manager who said he would contact the owner regarding the incident. Ms Molina said she went to the emergency department to be treated for "excruciating cervical pain and uncontrollable headaches". Ms Molina is suing for $US1.5 million ($AU1.9 million) and seeking "medical costs and expenses for the past, present and future, including the pain and suffering she physically and mentally endured". The complaint also alleged the restaurant failed to inform customers of any "possible dangers" while eating.